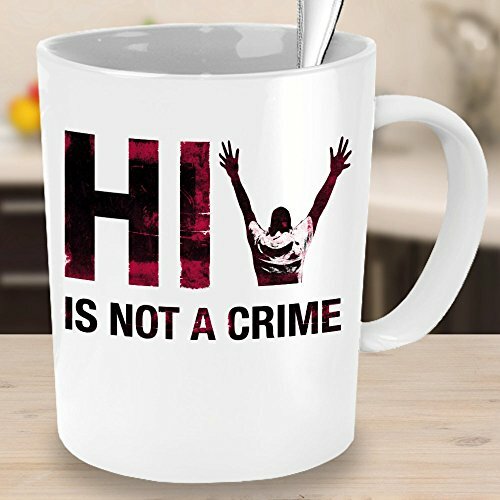 PERFECT GIFT IDEA THEY'LL LOVE: Makes a unique red ribbon awareness gift to help stop the HIV stigma and change laws targeting HIV diagnosis as a crime. Best for Christmas, birthday, holiday season or other special occasion. CUSTOM MADE AND HAND INSPECTED: Please allow 5 days for manufacturing and HAND INSPECTION (but usually ships faster). 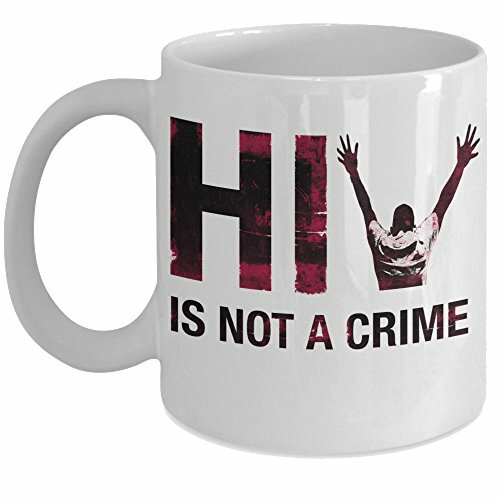 Each mug usually ships SEPARATELY - even if you order TWO. HIV AIDS AWARENESS 11 OZ COFFEE MUG CUP - PRINTED AND SHIPPED FROM USA: Coffee mug with HIV Criminalization design in red black grunge style colors with man with hands up. 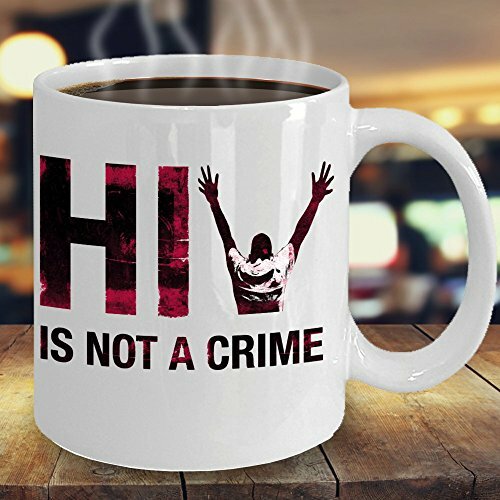 FOR MEN, WOMEN, GIRLS or BOYS: Mug can be used for Coffee, Tea, or even hot chocolate for the younger kids. 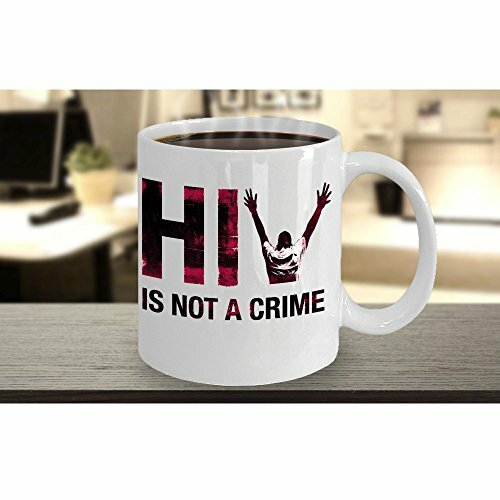 TWO SIDED BRIGHT BOLD COFFEE MUG - We print on both sides of the mug! Coffee cups can be used by right or left handed coffee drinkers. CLICK ADD TO CART WITH CONFIDENCE: 0.007% Break Rate and Satisfaction Guarantee.